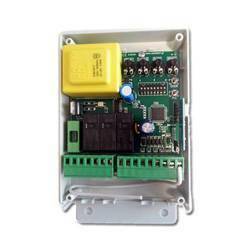 Control board for rolling shutters with built in limit switches and no needed photo cells. 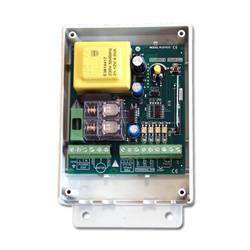 The electronic control panel (board) for shutters, type S-2055, from the company AUTOTECH. 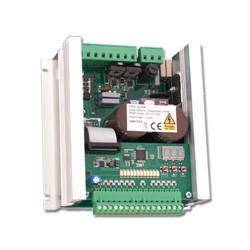 It is suitable for shutters powered by a monophasic current supply 230V AC and have their own limit switches. Automatic recognition of motor terminals. Output for the alarm lamp. Input for the command Button ( START ). 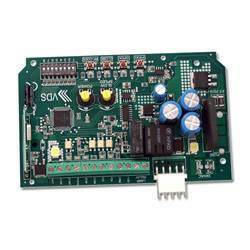 Does not support photocells safety and automatically turn off. 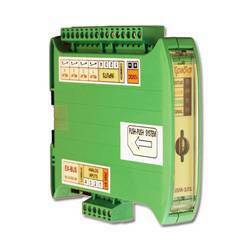 Very easy wiring and remote programming. In central part of the table is dominated left by the converter with a series of 3 relay. 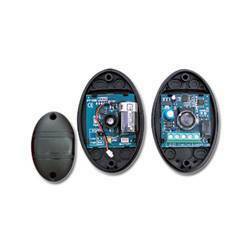 On left edje is the fuse 6A and on right edje is the remote control receiver in module format. Left is the terminal of strong currents which connect in line, the power supply ( L, N ), alarm lamp( N, LAMP ) and the motor ( CLOSE, COM, OPEN ). All these contacts of 230V AC voltage and require attention at work. Right is the terminal of handling device. Τhere are contacts in line for the open/close ( START ) command and antenna connection of the remote control receiver ( ANT ). At left of the top is the button LEARN which is learning remotes and deleting from memory. 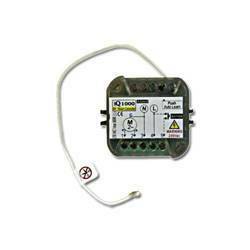 Above the button, exist the corresponding indicator LED light. The L1 is at the top-right of the board and bring the indication LEARN. Gives indications for the remotes learning/deleting. The L2 is a little down and bring the indication PWR. Inform us if the board is plugged in or not. L & N: The first two left contacts which are marked as L and N, connect from network the current. In first (L) we connect the phase and in second(Ν) we connect the neutral. We can easily find the phase with a screwdriver. LAMP: Between N and LAMP contact, we connect the alarm lamp. 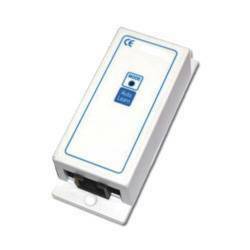 This optional equipment althought use alarm lamp but is not necessary or related to the functioning of the motor. CLOSE, COM and OPEN: The contacts are marked as CLOSE, COM and OPEN, connected with motor. ->CLOSE and OPEN: The two windings opening and closing of the shutter are corresponding with the motor. 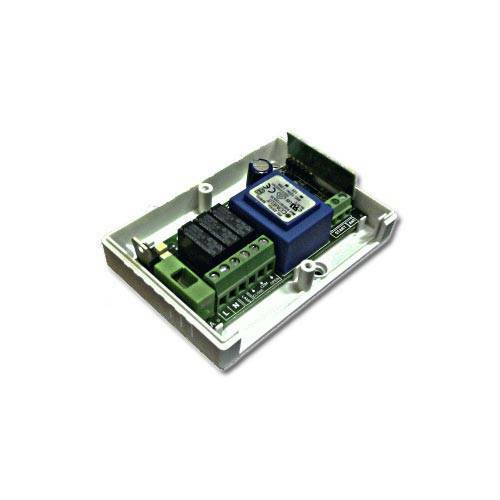 Each winding is powered by one of the two contacts and the COM contact. Also note the capacitor of motor is connected with OPEN and CLOSE. You don't need to do anything special because all the shutter motors have connected capacitor.->COM: Neutral for the motor windings. START: The two left contacts, which is marked as START concerning the connection of the control button. The control button must be switch type NO (Normally-Open) without restraint. If we don't use control button, so we don't connect anything with these contacts. ANT: The last contact of the right is marked as ANT and connect the antenna with the remote control receiver. This antenna has the form of a single cable with length of 17 cm. If you have connected the remote receiver with control panel, you should not remove this antenna because the range of the remote will vanish. The stream connection is made to the electricity sypply clemp, according the following schedule. Make sure (eg using test screwdriver) the phase and neutral are connected in the correct contacts. The ground connection is directly on the motor but not in the table( if the cable motor have yellow-green ground wire). Make sure the ground connection is correct. If shutter opened and closed in the wrong directions, you must not switch the pahse and neutral. The setting of the correct direction should be done with the change of OPEN and CLOSE cables. When connect the panel with the current or a power failure, the first command (via remote or buttons),will be interpreted as a command to open the shutter. This is an easy way to check if the opening-closing time is right or should we change it (as in the next section). 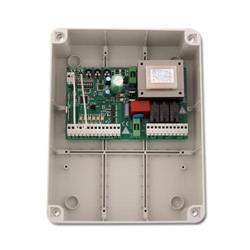 The S-2055 control panel has a button that activates the wireless transmitter of automatic synchronization process (remote control) and rolling code receiver. This button is marked as LEARN, while above is the LED L1 which know the status of the process. 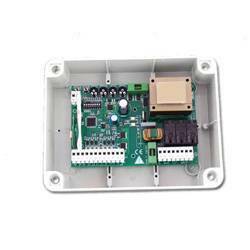 This process will be enable if the wireless remote receiver have the module form, connected with the control panel( have the shape of a small board, which connected the specific contacts on the right side of the table and supplied with the installed receiver). 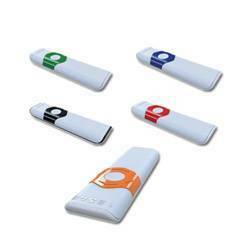 It is possible to enter up 250 remotes in memory with their own personal identities. Press once the button LEARN and leave it. The LED L1 stays on for 10 sec. During this time, the remote receiver connect with a wireless remote control and register it in memory, with own identity. To do this, simply press the button on the remote. If the remote receiver have already registered 250 remotes and registrate even one, then the older remote will be erased from the memory and will be replaced by the new. 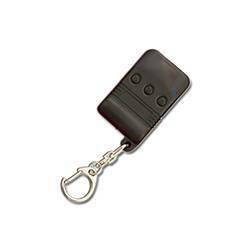 If we don't do anything during these 10 sec, the LED L1 turns off without making any changes in the remotes list that identifies the remote control receiver. Press the button LEARN and hold it for 10 sec. The LED L1 start to flashes. All the registered remotes have erased from the memory of the remote control receiver. To connect the command button, use the contacts START, as in the left diagram. The control button without restraint are switches NO (Normally-Open ). If we want to connect more than one type of switches NO, then the correct wiring is in parallel as in the diagram.